Below is a reflection of this trip written by Tariq Bashir. 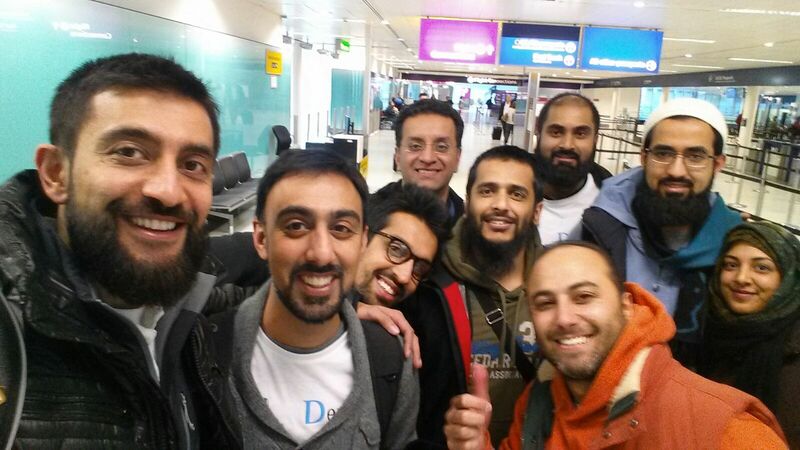 On 22nd December 2014 myself along with 9 dentists set off from the UK to the West Bank in Palestine in collaboration with PCRF (Palestinian Children’s Relief Trust) to provide essential dental care for children in the region. For the vast majority of the group, this was their first experience of dental aid work but perhaps the most satisfying in their career to date. This was a trip that will always be memorable but there were some hurdles along the way. We arrived in Amman, Jordan, to find that some of our essential equipment had missed the connecting flight and was stranded at London Heathrow. We decided that some of the group would stay behind in Amman to await arrival of our lost baggage whilst the rest of the group travelled to Palestine and stay on schedule. Our 2 colleagues that stayed behind also had planned to distribute clothing and toys to refugee camps which generously donated by local businesses. This was greatly appreciated by the children of Jerash refugee camp and the two colleagues involved in this aspect of the trip were extremely humbled. Meanwhile, the remainder of the group made their way to the Allenby crossing to gain entry into Palestine (which itself was no easy feat) and after a few hours we were allowed entry-minus our dental equipment which was seized by the Israeli authorities. We then travelled to Jerusalem and this city with all its history was without a doubt a highlight for many of us. Here, we met some amazing local dentists who came to our aid by finding out about our difficulties via social media. The people were extremely generous and gave us handpieces and other essential dental equipment to borrow and also located local dental suppliers who could help replenish the confiscated stock. During our time in Jerusalem we were fortunate to meet many amazing people, all who had fascinating storied to tell. We also spent some time exploring this amazing city, visiting the Al Aqsa Mosque, Prophet Abraham’s tomb in Hebron (just outside of Jerusalem) and the church of the Holy Sepulchre. The weather remained very nice during our stay (15-18 degrees celsius) and we could easily walk around Jerusalem, sampling the traditional bread and taking in the beautiful architecture of this great city. On Boxing Day we arrived in Nablus where on the first night the group met after dinner in the hotel with some of the PCRF team and we discussed the 3 clinics we would be working at. One was in Nablus, the other was in a town called Salfit and the last one in Qalqilyah. Both these towns were approx 45 minutes drive from Nablus. We also arranged the oral hygiene packs for the 3 clinics that we would be working in for the next few days as well as organising the stock that would be required. The next day we worked all day carrying out examinations and producing treatment plans for these children. Over the following 4 days in the various clinics the team of 10 dentists worked on over 200 children aged from 5 to 16. We treated children with disabilities, medical problems, learning difficulties and orphaned children from local schools and orphanages. Naturally many of these young patients were nervous having dental treatment carried out as most of them had never received any dental treatment before. The team coped very well and was supported by local dentists who had donated their clinics and support staff for the week to DAN. We carried out a wide variety of essential dental treatment including fillings, scalings, extractions and most importantly delivered preventative advice which was complimented by the oral health packs. At the Qalqilyah clinic, where I was based, we had great fun with the children and even managed to find time during our short lunch breaks to play football with them. I found this helped break the ice and felt the children were comfortable receiving treatment from us as we had engaged with them. 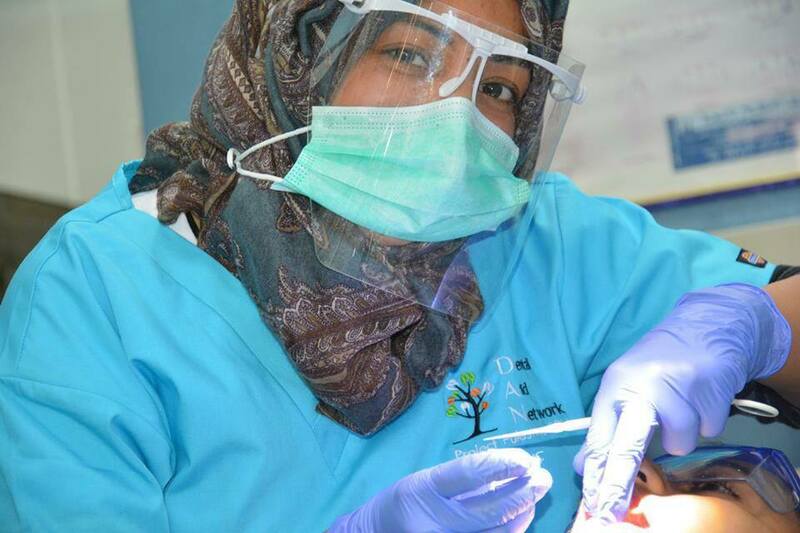 In addition to dental treatment in the clinics we also managed to secure an operating list under general anaesthetic for those children requiring multiple extractions. This was kindly organised by a maxillofacial surgeon at the Rafidiah Hospital after some of the team had gone to visit this local hospital and fortunately we made some contacts that could provide this vital service. Most evenings we would have traditional Palestinian dinner in the hotel and then discuss the days events and any clinical scenarios that we had come across. Usually we would sit late into the evening drinking tea to wash down the delicious kanafa one of our local colleagues would bring us for dessert. Who said dentists don’t have a sweet tooth! 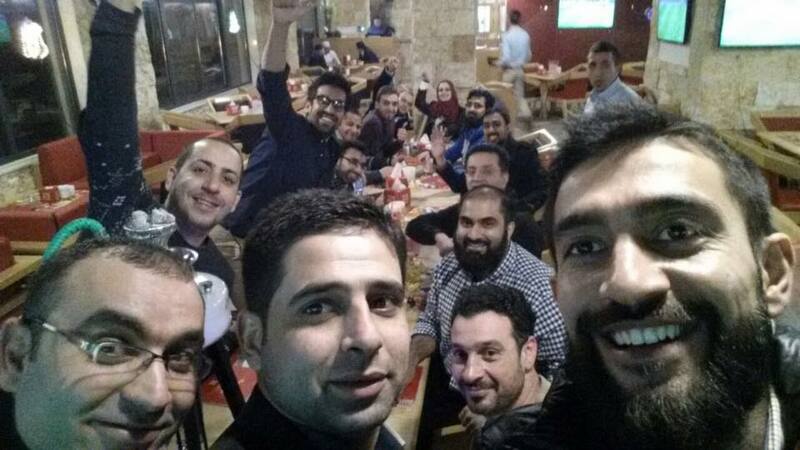 During our week in Palestine many other dental colleagues became aware of our dental mission and organised an evening lecture where 2 of the volunteers delivered presentations on restorative dentistry. These were well received by the hundred or so Palestinian colleagues that had given up their evening to meet us. This was an amazing opportunity for us to meet the local dentists and to share ideas for the future. The evening ended with a table tennis tournament amongst some of our Palestinian colleagues, who we found were very competitive! On one of the nights we even managed to squeeze in a trip to the local 800 year old Hamam (Turkish Bath). This was an experience in itself as the male members of the team mingled with the local men and later shared the traditional mint tea with them. 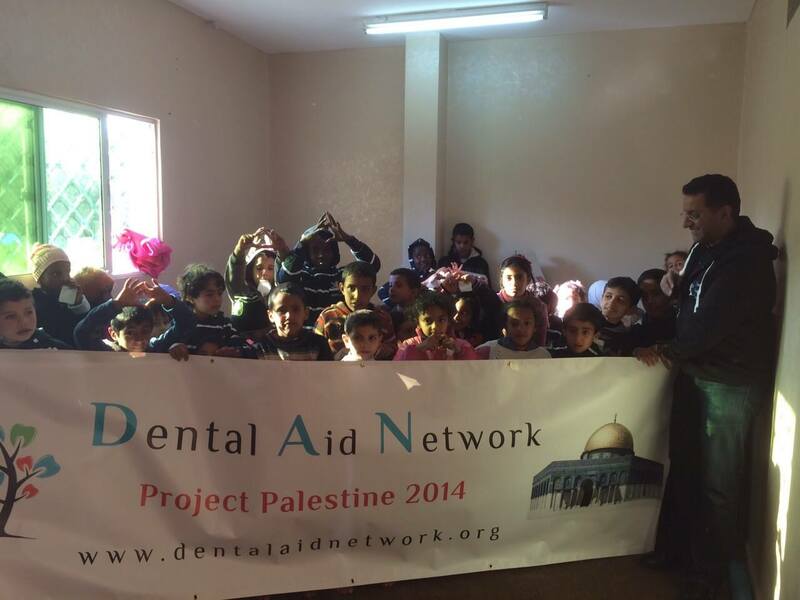 The DAN team would like to say a heartfelt thank you to all our Palestinian dental colleagues and our host charity in Palestine, PCRF, for accommodating us. In addition to this we would like to also thank all our donors, families and friends without whose support aid missions such as this would never have been a reality.